With significant vineyard holdings in the commune of Puligny-Montrachet, and an adherence to traditional winemaking that focuses on wines that speak of place, Domaine Paul Pernot is considered one of the top producers in the appellation. Join us this Saturday to taste several wines from Domaine Paul Pernot and the 2015 vintage. Not all the wines have arrived at the shop yet so we are offering a Pre-Arrival sale with significant discounts on six bottles or more. Pundits are deeming 2015 an “extraordinary” vintage throughout the Côte d’Or. Typical of warm, sunny years the 2015 whites are clean, pure and rich, favoring ripe orchard and soft citrus fruits over bracing minerality. These are wines that don’t necessarily need time in the cellar to show their full expression. Paul Pernot began the domaine that carries his name in 1959. He started with about 25 acres of vines, most of which had been in the family for nearly 200 years. 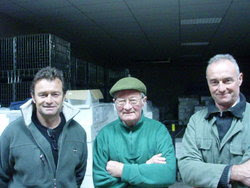 Today it is Paul’s sons, Paul and Michel, who manage the estate. Over the years the two sons have expanded holdings and now farm over 50 acres of vines, most within the commune of Puligny-Montrachet, including two Grands Crus – Bâtard-Montrachet and Bienvenues-Bâtard-Montrachet, as well as four other top Premiers Crus: Les Champs-Canet, Les Folatières, Clos de La Garenne, and Les Pucelles. The wines are meticulously made, with minimal batonnage to keep them pure. The regional wines are fermented in tank but all of the higher appellation wines are fermented in barrel. No new oak is used for the regional and village wines. Premiers Crus get about 30% new oak, and the grand crus between 40-50%, depending on the vintage. At present, 80% of the wines produced by Domaine Paul Pernot are sold to négociants in Beaune under contract. But the 20% that the estate retains and bottles themselves are some of the finest representations of Puligny-Montrachet in existence. Vinified from four different separate lieux-dits within Puligny-Montrachet and Blagny with vines that average 50 years of age. Vinified from a 7.6 acre parcel of 45+ year old vines. Aligoté is the other white grape of Burgundy. Light, crisp, and refreshing. Vinified in stainless steel from Puligny-Montrachet vines on the border of Meursault. Vinified from a 1.6 acre Premier Cru parcel bordering Puligny-Montrachet. 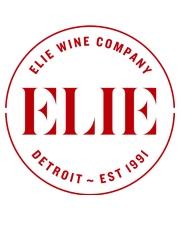 Vinified from a 1.7 acre parcel that was purchased by Paul Pernot’s great-grandfather and that was replanted in 1957. Clos de la Jacquelotte is a climat within Champ Canet. There is only one other owner of vines in this clos besides Pernot. One of the top Premier Cru in all of Burgundy “Les Pucelles” is basically an extension of the Grand Cru of Montrachet. Vinified from less than an acre parcel of 35+ year old vines. One of the finest expressions of Chardonnay in the world. Vinified from two parcels of vines totaling less than an acre. One of the finest expressions of Chardonnay in the world. Vinified from three parcels of vines totaling close to 1.5 acres. A monopole of the domaine upslope from the Premier Cru “Les Marconnets” and bordering the commune of Savigny-lès-Beaune. Vinified from a tiny Premier Cru parcel just over half of an acre in the center of Beaune. Vinified from old vines of an indeterminate age from a tiny Premier Cru parcel just over half of an acre and downslope from the village of Volnay.